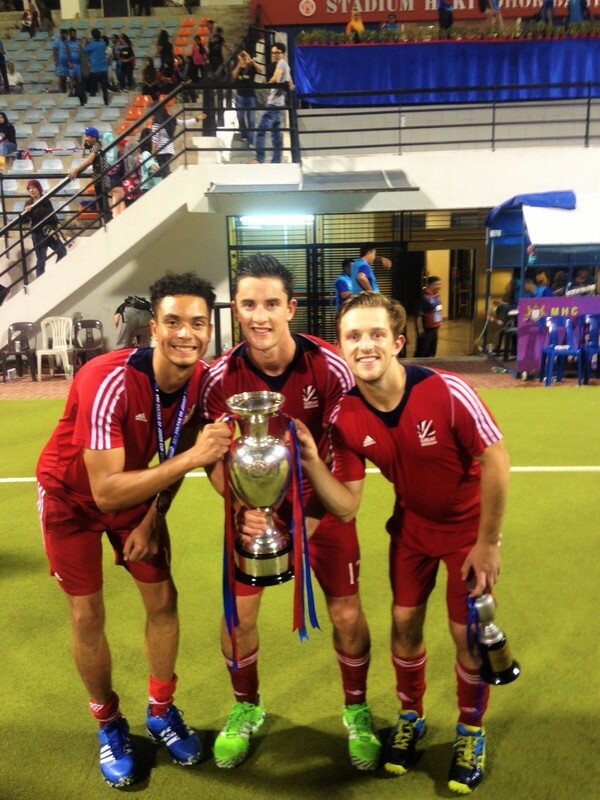 EVO is delighted to announce that we are now sponsoring our second hockey athlete, GB U21s player JONTY GRIFFITHS! On 9th December 2015, EVO proudly unveiled our first ever sponsorship of a player, Rhys Smith of GB U21s. Jonty joins his fellow GB U21s teammate as a sponsored player on EVO Hockey's roster and both will be coaching at an EVO camp near you soon! This sponsorship underlines EVO's commitment to breaking new ground as a hockey camps company, as we look to support young players through our innovative coaching models, as well as provide practical support and coaching development opportunities to the current and future stars of the game we love. Jonty is one of the top current crop of Junior internationals in the world. He has been a fixture with GB U21s for some time and won the prestigious Sultan of Johor Cup with them in October 2015. He has been capped for England U23s and England A, represented England U21s in the Junior World Cup in 2013 and won an U21 European Championships bronze medal in 2014. He currently plays his club hockey for Loughborough Students in the National Premier League. As part of our support for Jonty, he receives JDH equipment, coaching and player development advice and support, as well as sport psychology support and mentoring. We are committed to supporting Jonty throughout his professional hockey journey. Jonty, in turn, is a committed EVO Hockey coach, passing on his own amazing skills to young players, and is an excellent ambassador for EVO Hockey. You will be able to read updates from Jonty on his hockey journey exclusively through EVO Hockey, where he will now be a contributing author in the EVO blog! Jonty is jointly sponsored by EVO Hockey and our partners JDH. You can find JDH equipment, as used by him and other top players, in the EVO shop. Read more about Jonty - click here to see his EVO profile. Can you solve these Christmas Riddles?